Actress Natasha Lyonne pleaded guilty yesterday (8/26) to drunk driving charges stemming from her arrest last year in Miami. The 23-year-old star of "American Pie" and other teen favorites was popped for DUI after crashing her rented Dodge near the Fountainbleau Hotel. 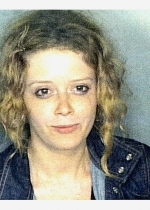 Lyonne was sentenced to six months probation, fined, ordered to perform 50 hours of community service, and forced to surrender her driver's license for six months. According to a Miami Beach Police Department report, Lyonne refused a Breathalyzer test and blurted out these immortal words to the arresting officers: "I'm a movie star. Can I talk to my entertainment lawyer?"